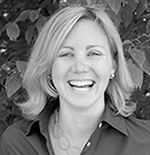 Christine McFeeley Sprovieri ’94 has worked at Brown University since 2006. 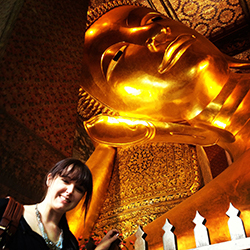 In June 2014, she became the global relations officer in the Office of Global Engagement. Her world regions include Brazil, Europe, and Africa. 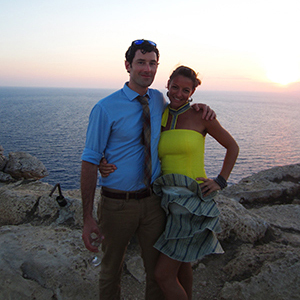 Emma Brown ’07 and Jake Howard ’07 are currently living in Hong Kong. Jake is working for an international adhesive manufacturer, Bemis World Wide, which is based in Massachusetts. He is managing the design and application branch in Hong Kong which focuses on sportswear, so he works closely with brands such as Nike, Lululemon, and Adidas that use adhesive in their products. 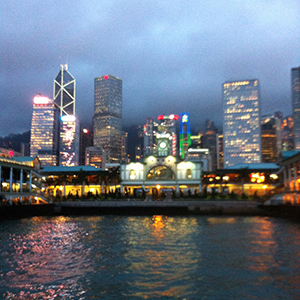 Emma is finishing up her Masters of Education at Hong Kong University and doing a comprehensive study of student attitudes towards the environment. She also started her own business teaching yoga and hula hoop dance. 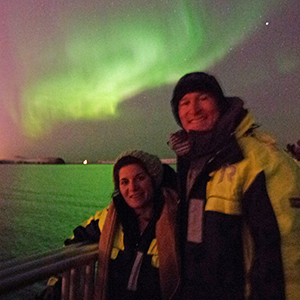 Melanie Condon ’10 went to Iceland in December for a vacation as well as to learn about the country's vast renewable energy resources (hydrothermal). Jennifer Zullo ’10 has worked as a legal intern and is currently a J.D. candidate at Northeastern School of Law. In December, Samantah Corti ’11 became associate director of events for the Western Region for National Brain Tumor Society in the Denver, CO area. 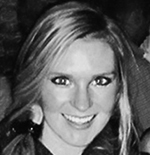 Katherine Pavone ’12 is is a senior fiscal policy analyst at Commonwealth of Massachusetts. Brianna Cole ’14 works at DAI (Development Alternatives, Inc.), a contractor for USAID that implements international development projects abroad.